The stripes of a Zebra make it one of the most distinctive animals on the planet. The reason for this striking pattern still eludes scientists. One theory is that the stripes break up the shape of the animals, making them almost unrecognisable to predators. Another theory is that the stripes of a herd exploding in all directions make it difficult for a predator to focus on one animal. Recent research found that the stripes also help repel biting flies. 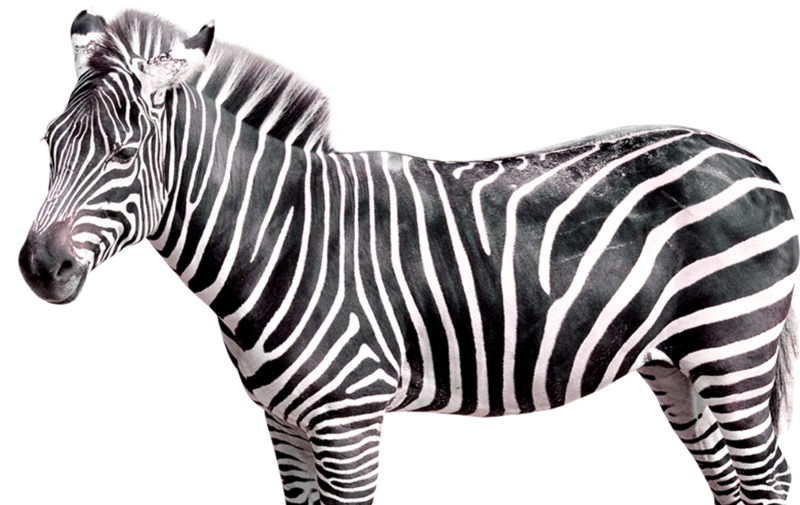 Oddly enough, while making zebras indistinguishable to other animals, zebra stripes actually help zebras recognise one another. Stripe patterns are like zebra fingerprints: Every zebra has a slightly different arrangement. The National Zoo is home to 6 Zebras – Tambo, Kiki, Zahra, Katali, Johari and Kangana.